The wa'a was finished like fine European furniture. It was narrow, long, swift and light. The longest was calculated to be about 108 feet. 50' was the average length. 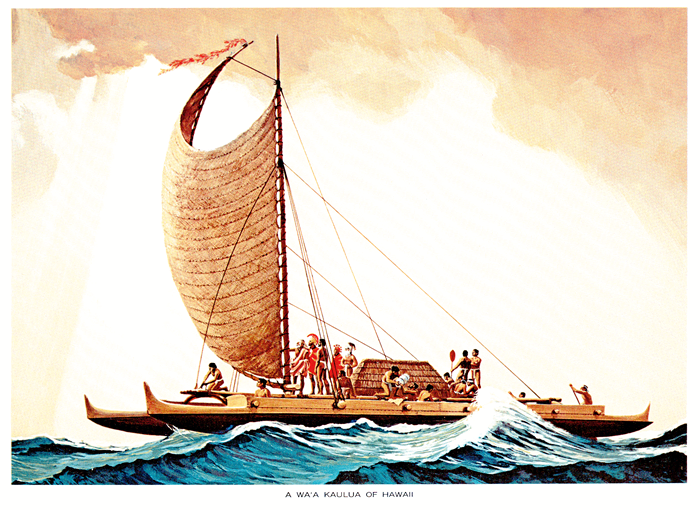 The double canoe pictured above was recreated from dimensions described by Captain James Cook in 1779. It was 70' long by 12' wide with a hull depth of 3.5'. From a 1972 calendar in the Archives.